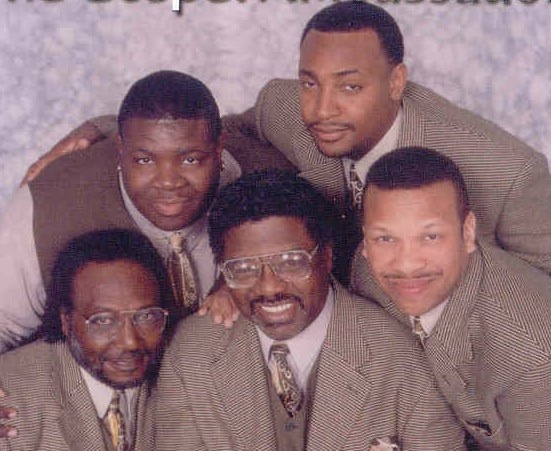 It was during this time he met Reuben (Doc) Henry Jr, and The Gospel Ambassadors was born into the world of quartet music. The group has been together for 40 years and continues to give the world a sound that is unique to all who listen to them. The group has recorded eleven albums to date, with such songs as “Take It Away”, “One Day At A Time”, “Grand mama’s Hands”, “Soul Look Back”, “I Don’t Mind”, I Got “Something You Can’t Take It Away”, “Leaving On My Mind” and “Take Off Your Shoes” just to name a few. They are presently in the studio recording their twelfth album, which will be a collection of Jay’s favorite Hymns. The current members consist of Jay Caldwell, Gabby Ledbetter, Jerome Yancey, Keith Yancey, David Moore, Lonny “Butter” Jamison, and Doc Henry. Road To Glory Records is proud to include Jay Caldwell and The Gospel Ambassadors as one of the many talented artists signed to its record label. We hope you will enjoy the music of one the most extraordinary groups in the world.